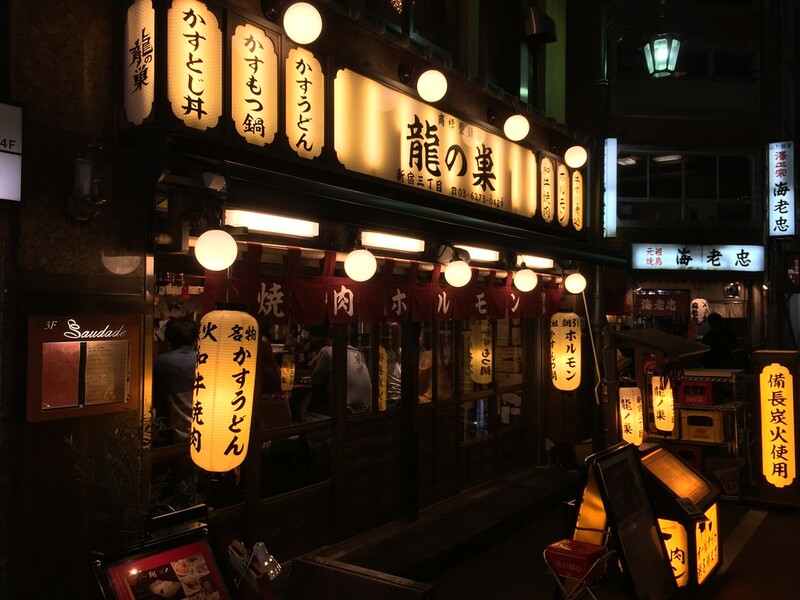 Shinjuku’s Golden Gai and Kabukicho entertainment districts are world famous. 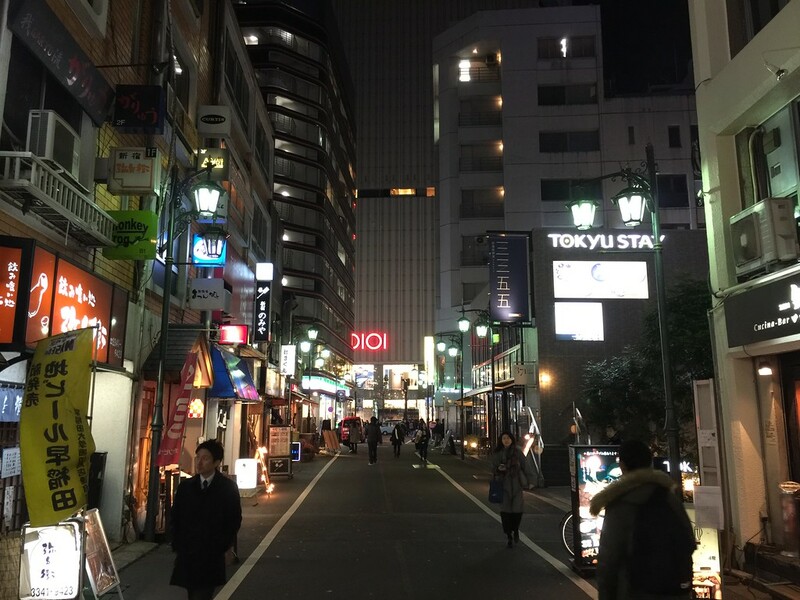 Only a few steps away, the Shinjuku San-Chome district is almost completely unknown, yet its one of the city’s most enjoyable nightlife districts. Here James Catchpole takes you on a short wander. Visitors to Tokyo often get quickly overwhelmed by the alleyways, lights and bustle of Shinjuku. It can be an adventure just getting out the station with more than 200 exits to navigate, let alone finding a particular shop or restaurant once on street level. 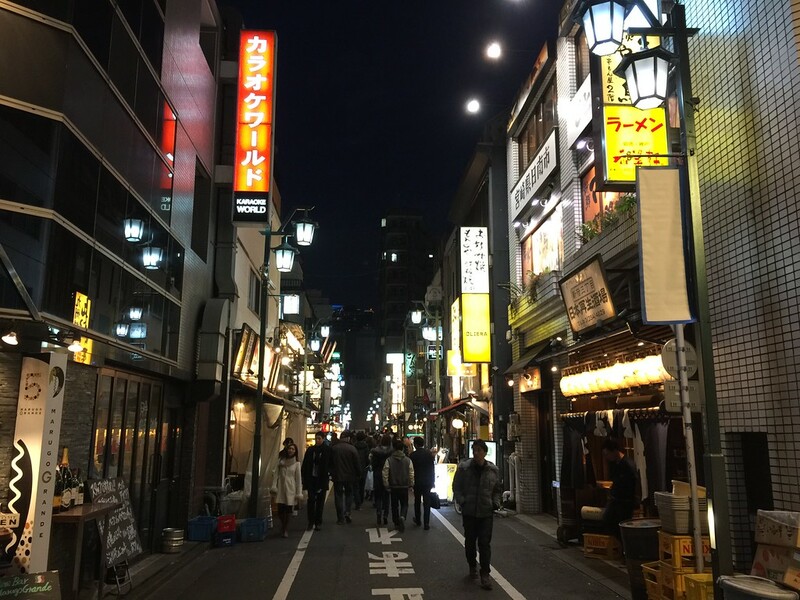 As a result many people tend to stop their exploring once they’ve seen the famous Kabukicho red-light district, and the old drinking den maze of the Golden Gai. Yet just another few minutes walk east of those great areas is the less famous but equally fun Shinjuku San-Chome neighborhood. It’s a dense, square-block area lined with all types of eateries, karaoke joints and some of the best music bars in Tokyo. 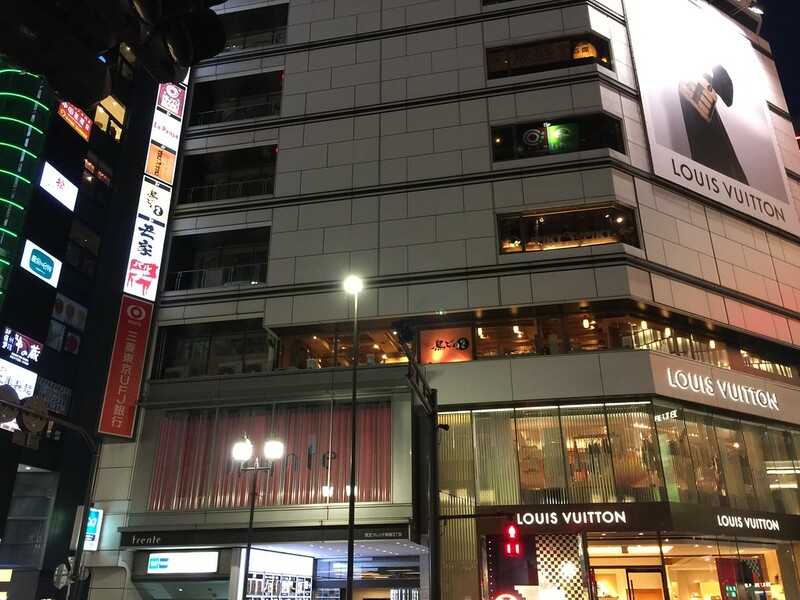 It’s super easy to find: As you walk east along Shinjuku-dori Street away from the My City exit of Shinjuku Station you’ll come to the intersection of Shinjuku-dori Street and Meiji-dori Street, seeing Louis Vuitton (LV) on the left. This is less than a five-minute walk. Cross the street and next to LV you’ll see the blue and white sign for Shinjuku San-Chome subway station (bottom left corner of the next photo). Just to the right of the station steps is a small street that takes you into the west side of the Shinjuku San-Chome neighborhood. Walk down into the alley for just 15 seconds and you’ll see this Sakaezushi sushi restaurant on the left. Sushi restaurants can be a bit intimidating for visitors to Japan, with various challenges like forbiddingly stern staff, exorbitant prices or lack of an English menu. Sakaezushi has no such problems and there’s an English menu sign right out front with the prices listed. This is a proper sushi place (ie, not conveyor-belt sushi). If you grab a counter seat you can watch the chefs in action as they prepare each dish. 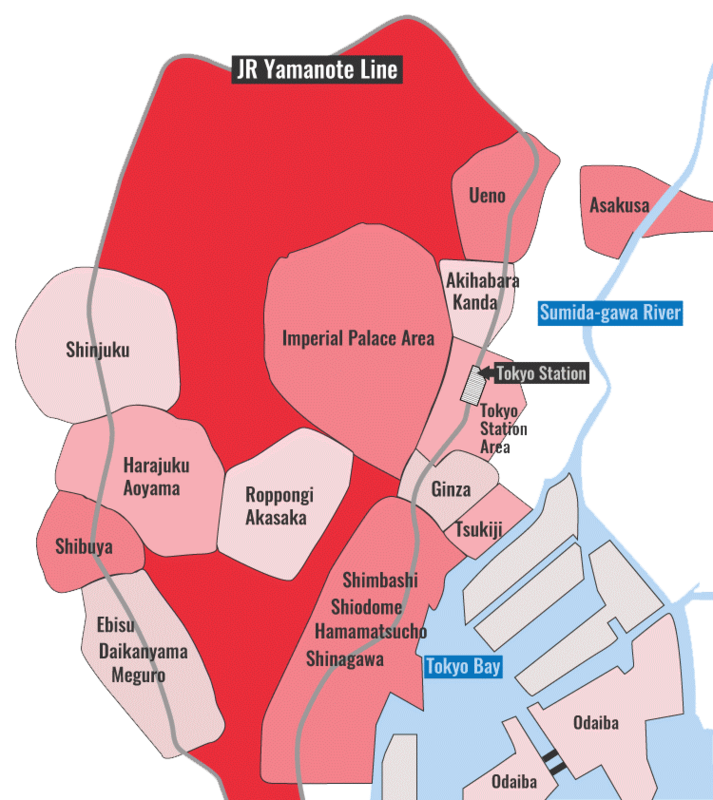 If you continue past Sakaezushi you’ll get to the center of San-Chome. 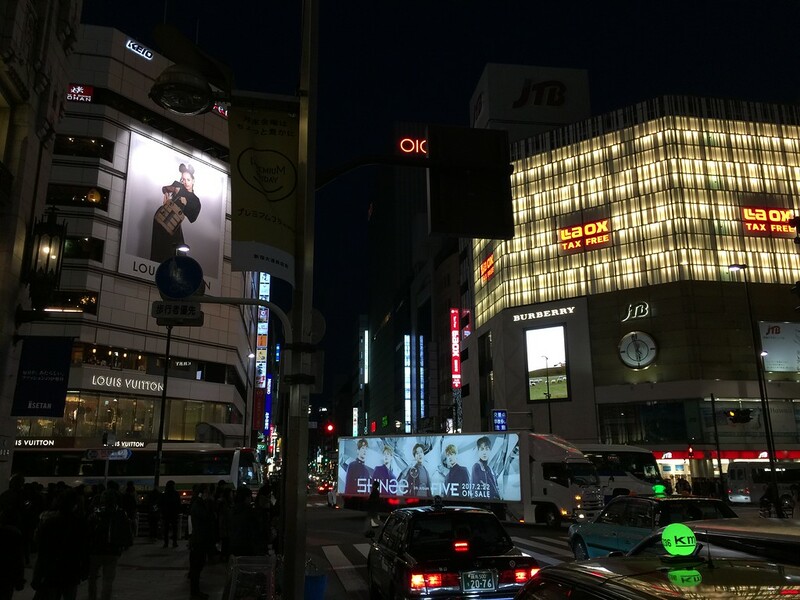 Look to the right and you’ll see signs reading ‘Suehiro-Dori’ above from the Shinjuku-dori entrance. Look left and you’ll see the main central street of the neighborhood, which is narrow and packed with dozens of appealing spots. Take 10 steps and immediately on the left is an example of the old-style drinking dens that used to be everywhere in post-war Tokyo, before rapid economic development and changing tastes saw many of them closed down. There is now a nostalgia for these old joints and recent years have seen many of them revive themselves with younger customers. This particular group of four are fairly used to having foreigners pop in (unlike some of the really older ones) so don’t hesitate to enter, they’ll be kind enough to help you with the menu. 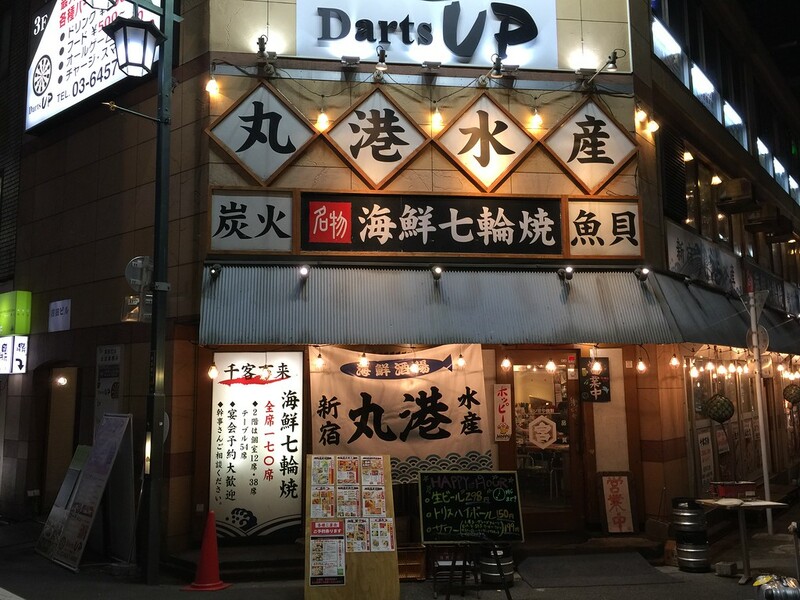 Don’t expect the famed Japanese service in this kind of joint – here, it’s all about noise, crowds and lots and lots of drinks. 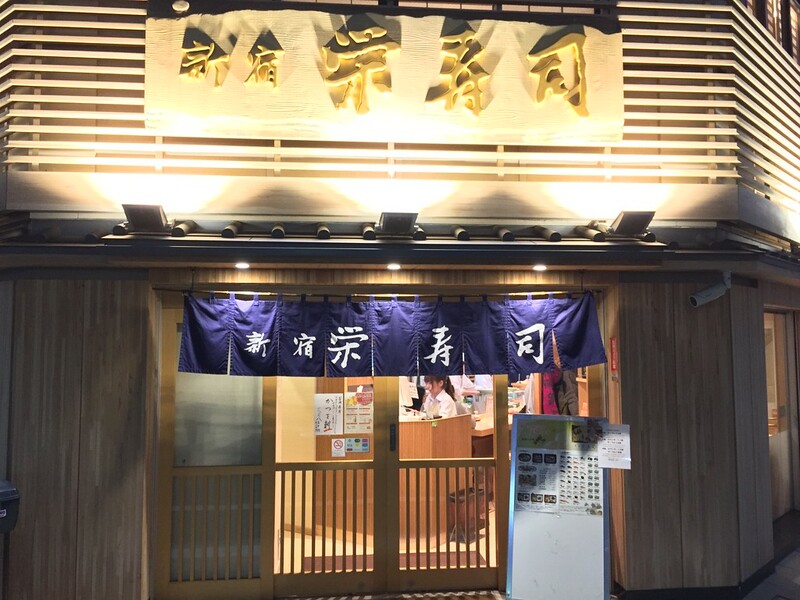 Back on the main road right past the old drinking den is a famous old vaudeville and rakugo (storytelling) theater called Suehiro-Tei. Shows are only in Japanese so you can probably give this place a miss unless you understand Japanese or are happy to just check out the vibe. 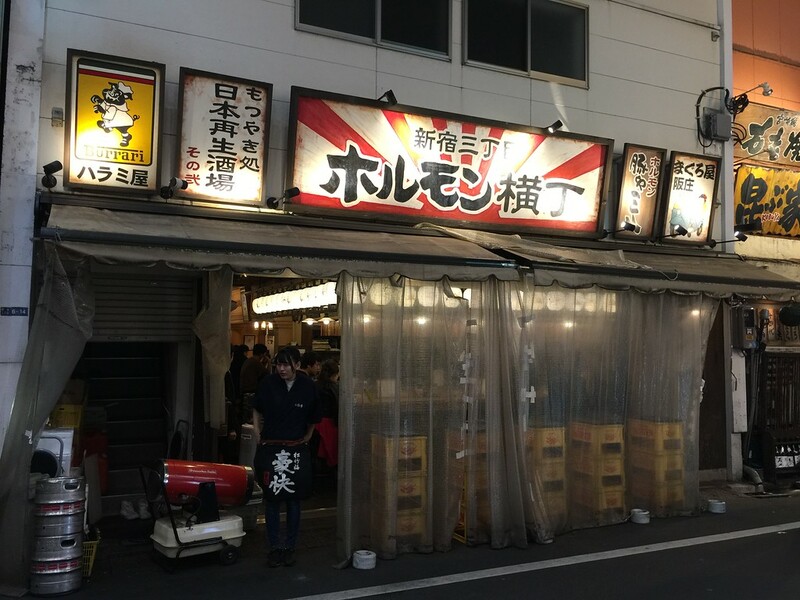 If the older standing drinking den you just passed wasn’t for you then the ‘yakitori’ (grilled chicken) izakaya called Shosuke a little bit up on the left is recommended. There are both tables and chairs and tatami-mat sit-on-the-floor areas, so if you want to rest while munching and drinking then this is a nice spot. Be forewarned there is NO space between you and your neighboring customers, and if they’re smoking you’re going to share each cigarette with them. 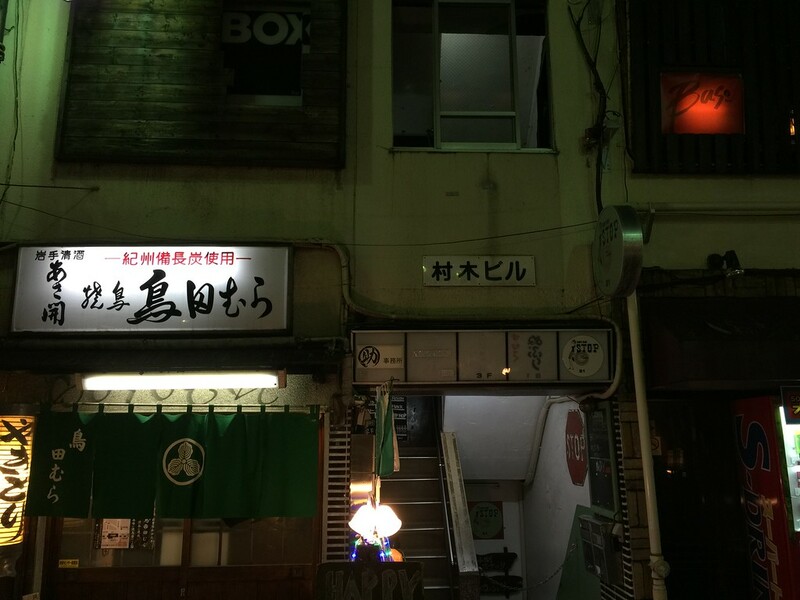 Walk a little past the yakitori place and you come to a small intersection in the middle of the San-Chome block. On the left corner you’ll see this shop, Maruko Suisan. Turning across from the Maruko Suisan (丸港 水産) you’ll turn right and see the tobacco shop on the left corner. Walk past the smoke shop keeping it on your left, and just two buildings down you’ll see this building. 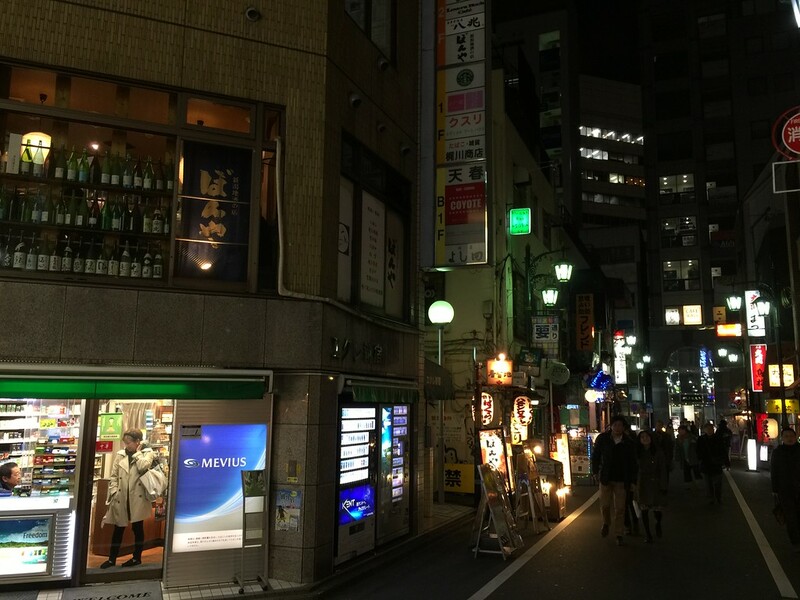 It’s a narrow dumpy building that has two of the best bars in all of Shinjuku. 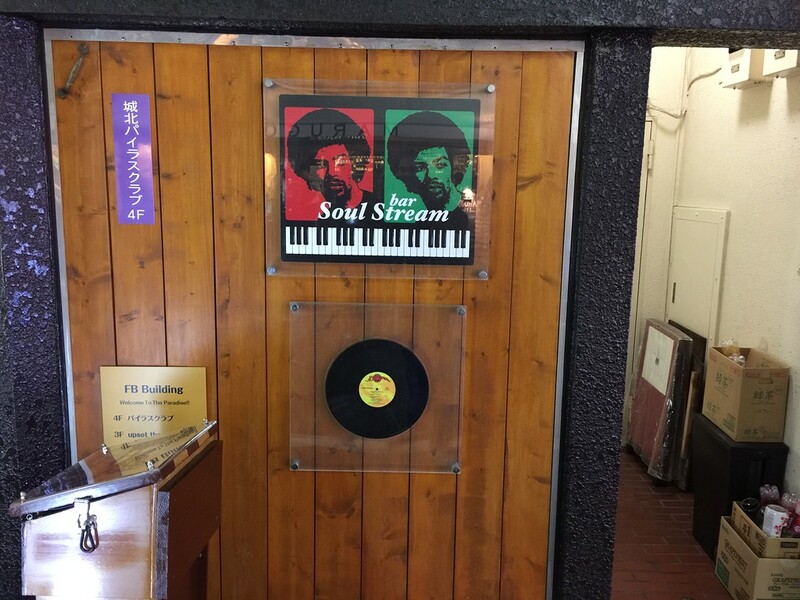 On the second floor is Bar Box, run by Aoki-san, a very welcoming host who in between making drinks puts on vinyl from the extensive collection behind the bar, all funky/groovy jazz albums. There’s no ‘table charge’ at Bar Box (unlike most bars of this type in Japan) and Aoki-san is very friendly, always happy to communicate as best he can in English. Sometimes the small music bars around town can be a bit difficult to enter for tourists but you can enter Bar Box with no fear. Nor do you need to worry about entering the third floor joint, Esogie Africa Bar. Owner Lucky-san is from Nigeria and is arguably the friendliest bar owner in Tokyo. He’s been in business for 13 years, serving drinks (including some Nigerian home brew spirit called ogogoro) while cooking up some authentic West African food, with the background music being fantastic tunes from Nigeria and other African countries. (I always write down the CDs playing when in there, it’s helped build my African music collection). Lucky has made a real effort to show that Africans in Japan are not what the media here usually portrays, going out of his way to teach customers about Nigerian culture. 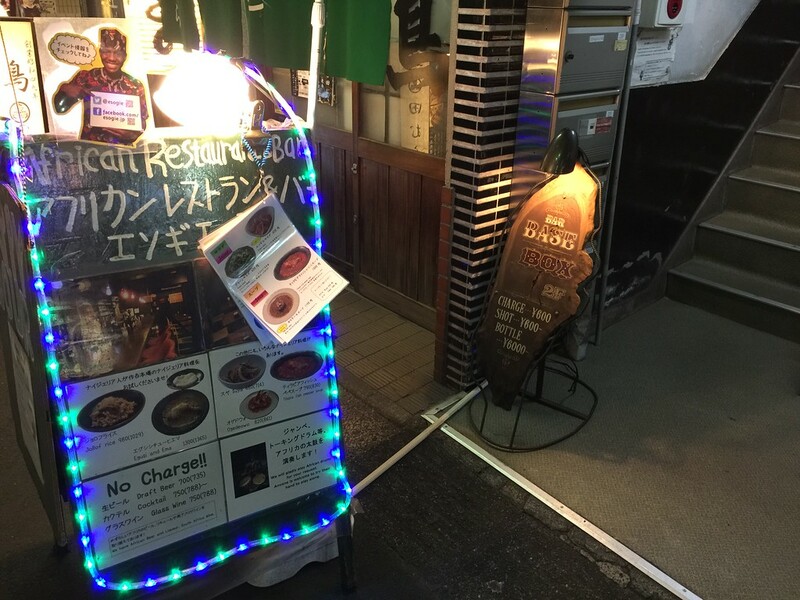 It may not be first on your itinerary in Japan to go to an African bar, but Esogie is a great spot for a drink and meal, a rare spot for locals and African expats to hang together. There is so much more though on each of the tiny intersecting alleys of San-Chome. If you walk just past the Bar Box and Esogie building look right and you’ll see this. On warm evenings each of the shops on this alley have seats spilling outside onto the street, making the atmosphere lively and fun, but much less intense than drinking nearer to Shinjuku Station. San-Chome has a more chilled-out vibe (likely the result of all the music bars, which number more than 25 in the neighborhood from jazz to soul to rock to blues to Cuban to reggae). 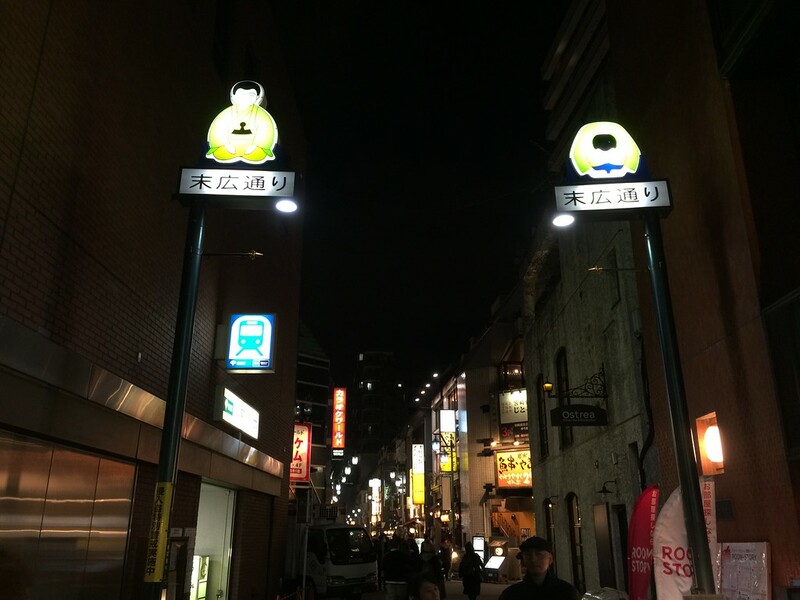 If you continue past the alley turn right at the end of the street, and you’ll be along the eastern edge of San-Chome. Just 10 steps up on the right you’ll see the first-floor sign for Soul Stream. Soul Stream is a small square room, dominated by the wall of vinyl albums along the wall on the right. Owner Ooki-san smoothly stands behind the turntables playing record after record from his wonderful collection. You can sit here for two hours chatting, drinking and listening to superb music in a totally unpretentious atmosphere. If you keep walking down past Soul Stream you’ll see the Tokyu Stay hotel on the right, a fairly new addition to the neighborhood. Across from the hotel if you look up to the 4th floor on the left you’ll see a sign with a black circle and yellow letters saying ‘Curtis’. This is always my last stop of the evening as owner Abe-san usually doesn’t open until about 8:30 or 9pm. Curtis is simply an amazing bar: lots of vinyl, some funky rattan furniture, and a small roof top patio open in the summer, with speakers pumping in the tunes. If you’re there on a weekend you may even find a DJ event going on, but the vibe is not clubbish at all, it’s casual and warm. Just the perfect way to end an evening. 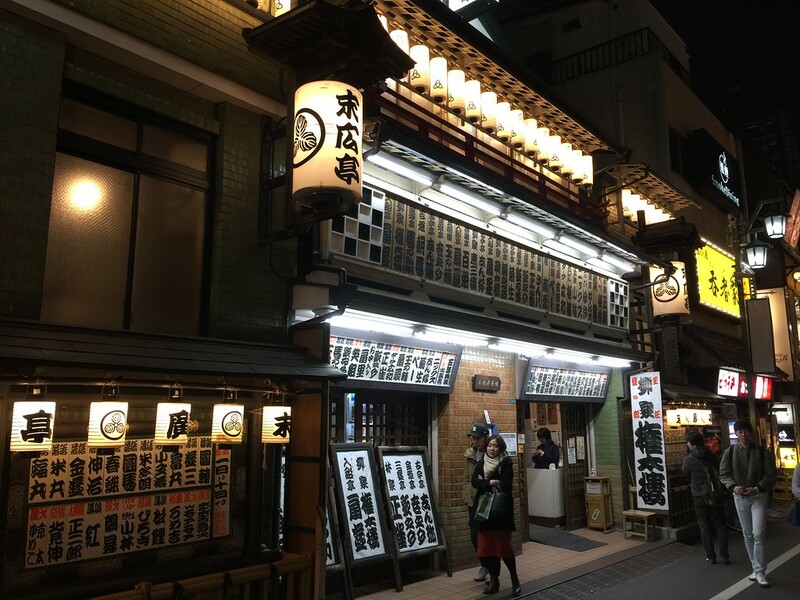 While there are more visitors coming to San-Chome in recent years, it still doesn’t see the kind of traffic that Kabukicho or Golden Gai do, two areas that have been very thoroughly documented in the international media. Yet I find San-Chome to be the most fun of any area in town. It has the food options, the drinking spots and more than enough great music bars to cater to a multitude of tastes. Yet it’s also very navigable: a walk around the perimeter takes maybe 15 minutes, leaving plenty of time to cut through the intersecting alleys. 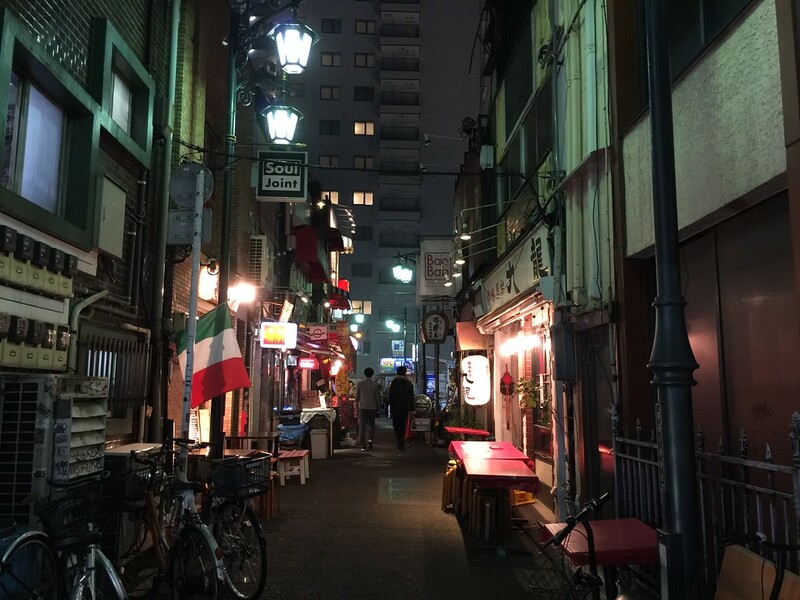 There are easily close to 100 eateries and bars to choose from in the area so I’d advise walking around and getting oriented first, keeping track of the signs that pique your interest. 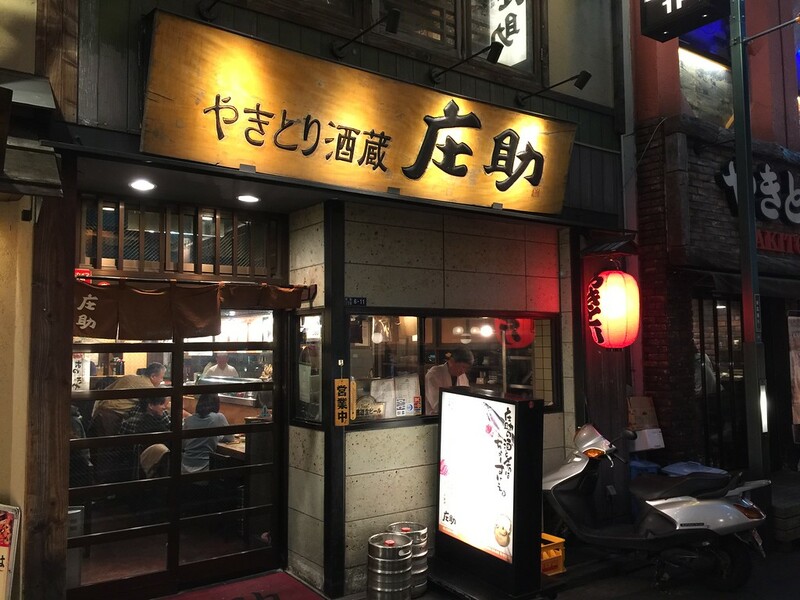 Then circle back and start your evening of good food and drink in one of Tokyo’s coolest neighborhoods. You may even end up here at Ryu-Nosu, a grilled bbq place (with a lot more on the menu) just because the entry is so sweet looking. James Catchpole is a broadcaster and music writer based in Japan since 1997. He runs www.tokyojazzsite.com and hosts the online radio program Tokyo Jazz Map, and the OK Jazz Podcast. He’s visited over 200 music bars throughout the Tokyo metropolitan area.